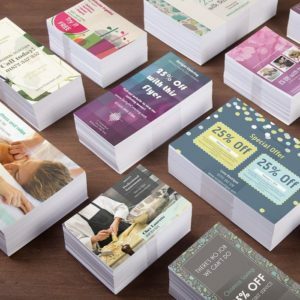 If you’ve run a few promotional campaigns based on flyers and have been consistently disappointed, there might be several reasons for your failure. It’s not necessarily a question of bad design, it could also be related to the quality of the printing itself, the way you’re distributing the flyers, and more. But if you’re concerned with the core design of the flyer, there are some common guidelines that can help you get the job done right. While it can be a bit annoying to cut out your flyers into special shapes, sometimes it can make all the difference in the success of your campaign, and it’s an idea you should definitely not ignore. 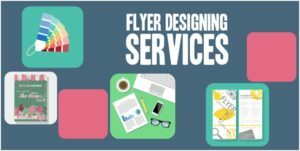 Sometimes it might even be possible to get the flyers pre-cut in a specific shape, so talk to your printing partner to find out what your options are. Even if you have to do it yourself, though, it can often be a very rewarding extra touch to your design. It’s not rare to see people trying to approach the design of a flyer the same way they would that of a poster, and that’s a common mistake that often leads to terrible results. 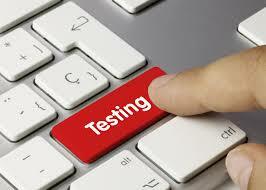 There are many reasons why this doesn’t work, from the general layout, to small details like font sizes and shapes. Don’t just shrink your successful poster designs down into flyers and hope for the best – if you want good results, you should start from scratch and come up with something that’s designed to go on a flyer in the first place. If you can afford it, comparing the success of different designs can be a very good idea that can quickly help you identify the successful ones and weed out problematic features. The most important point to consider here is that you should have a good system set up to track the performance of each flyer against all the others, and have some way to analyze that data. The final step in making sure that your flyer won’t end up in a trash bin is to get it printed by someone you know you can count on. That’s where we come in – just give the best NYC printer a call and we’ll take you through the whole process from start to finish. All you have to worry about is coming up with a proper design that works.